The Los Angeles Mission will celebrate the 20th Anniversary of the Anne Douglas Center for Women with a gala event at the Four Seasons Hotel Los Angeles at Beverly Hills September 12, 2012. 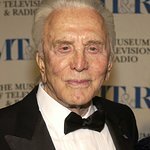 Special guests Anne and Kirk Douglas will present the 2nd Douglas Award for the outstanding work by an outstanding individual who has been actively involved in giving back to the community. There will be a culinary collaboration between Chef Ashley James, Executive Chef of the Four Seasons and Susan Feniger Chef/Owner of Border Grill Restaurants and Susan Feniger’s Street. There will also be musical performances by American Idol Finalists Casey Abrams, Diana DeGarmo and Ace Young. WHEN: Wednesday September 12, 2012.